Pairing 3 Summer Thrillers with some tasty Summer Chillers. 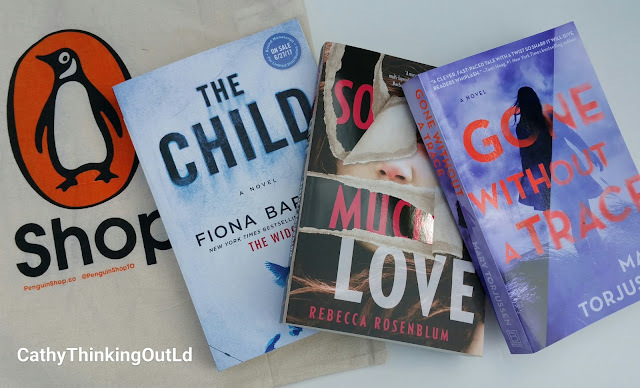 Disclosure: I received this collection of 3 Thriller themed summer reads from Penguin Random House Canada free of charge. 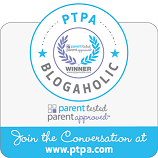 I was under no obligation, but chose to post and share with my readers. All opinions are my own. It's Summer, which means it's time to kick back and enjoy the thrill of the chill. Books, refreshing treats, and drinks are always part of that. So when Penguin Random House Canada surprised me with a Summer Thriller Trio, I immediately thought of afternoons on the deck with a good book paired with a refreshing beverage (because we all know it's important to stay hydrated). Below you'll find my Thriller and Chiller pairing suggestions. Wishing you a summer filled with Eat, Read, Love. SPOILER ALERT: I've attempted to give a short synopsis of the story-line without including information that would spoil the reader experience. Having said that, you continue to read at your own risk. The Child, told from the perspective of 4 women, begins with the discovery of a child's remains during a house demolition. Reporter Kate Waters, left with more questions than answers, begins the process of collecting information to help piece together how the bones got there, and the identity of the child. 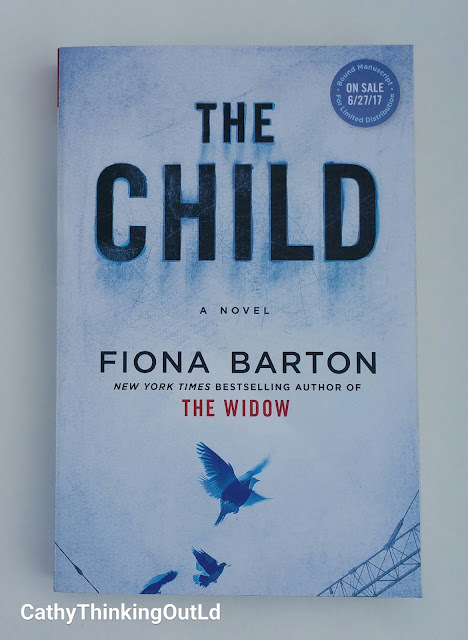 Her investigation leads to information that links the bones to a decades old crime, and the realization that bones are not the only thing that will be unearthed before this story is over. 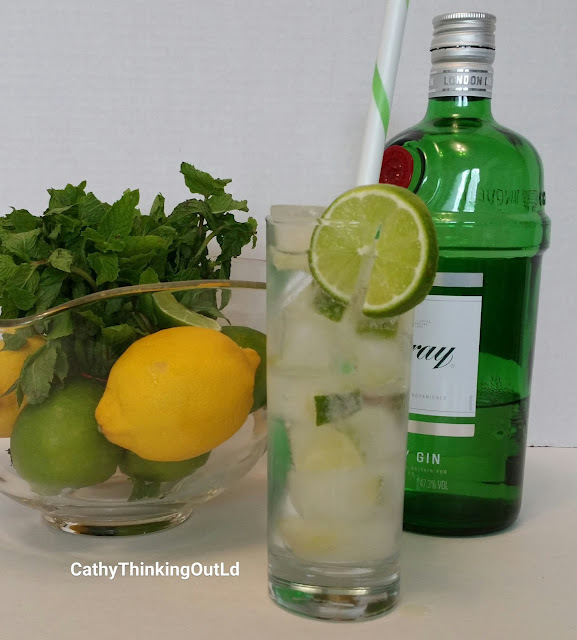 Paired with a refreshing Grim and Tonic with a twist of lime. Okay it's just a Gin & Tonic, but it's the perfect choice on a hot sunny day. (Tip: Add pieces of lime and, or lemon to tonic water to make "fancy" ice-cubes that won't dilute your drink when they melt.) Directions: Fill a tall, narrow (highball) glass to the top with ice. (Yes it tastes better in a tall, narrow glass because it allows for the correct gin-tonic ratio). To the glass add 3 oz. of Gin, 4 oz. of Tonic Water, a twist of lime, and garnish with a wedge of lime. 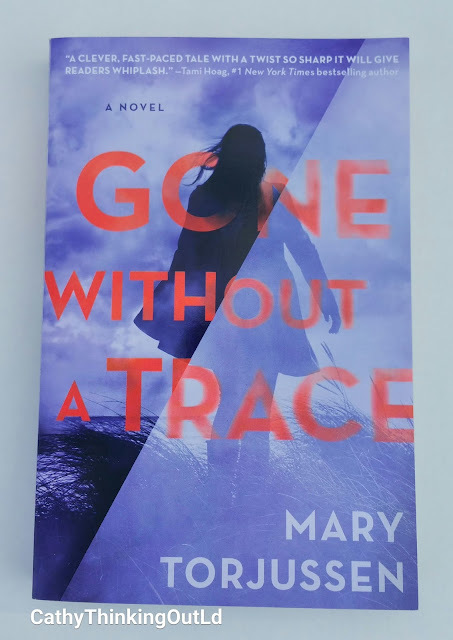 Gone Without a Trace, is a complicated and twisting suspense that is told from Hannah's point of view, about the sudden disappearance of her boyfriend, Matt. After four years together, she comes home one ordinary day to find all traces of Matt and their life together are gone, literally without a trace. It's not just Matt that has disappeared, but all traces of their life together have disappeared; emails, texts, pictures, social media accounts ... all gone. In order to make some sense of this, Hannah becomes obsessed with finding answers to what happened Matt, and why he vanished without a word. Paired with a Cryptic Ice Coffee. This non-alcoholic option hits the spot on a hot day. 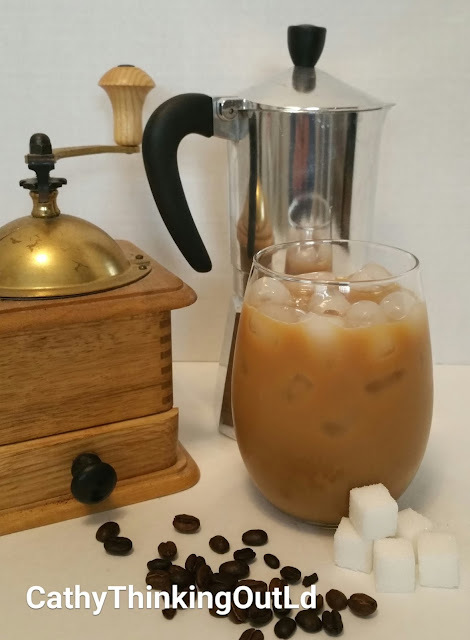 (Tip: use leftover coffee to make coffee ice-cubes that won't dilute your drink when they melt.) Directions: Brew a pot of your favourite full-bodied coffee and let cool. Mix coffee with milk or cream and sweetener of your choice to taste. 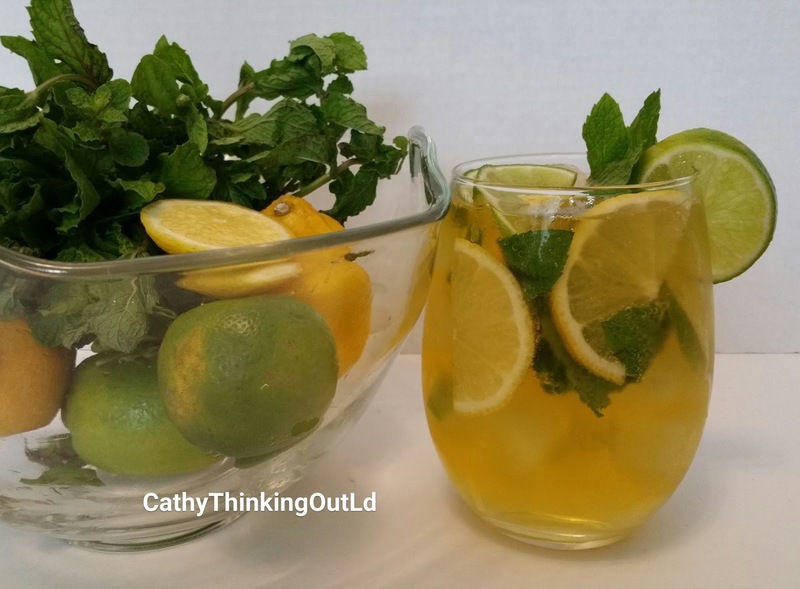 Pour mixture into a glass filled to the top with ice, add a straw and enjoy. 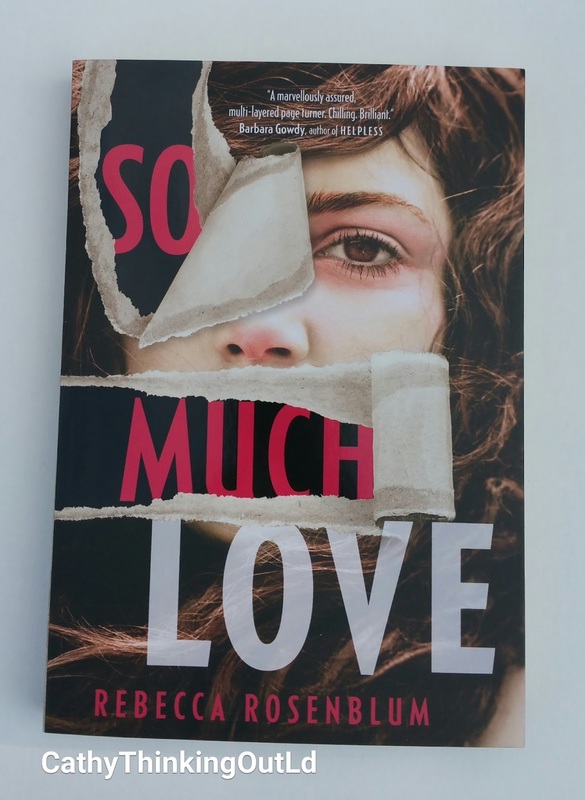 So Much Love is the story of Catherine's abduction from a small town. The story is told from multiple points of view, including Catherine's, helping the reader to link seemingly random information, places and people. What becomes clear is the ripple effect, and impact the abduction has on both those close to Catherine, and casual acquaintances, struggling to process feelings of loss, pain, anger and fear. The depictions of everyday Canadian life by way of references to Tim Hortons, Shopper's Drug Mart and Swiss Chalet which are normally quaint, are also what makes them scary. The thought that, in a small Canadian town amidst the Tim Hortons, Swiss Chalet and Shopper's Drug Marts, this could actually happen is terrifying. In order minimize spoilers I will leave it at that. Paired with a Spin-Chiller Wine-Chiller. White Sangria: (Tip: add fresh mint or pieces of citrus fruit to water to make "fancy" ice-cubes for your Spin-Chiller Wine-Chiller) Directions: In a large jug or decanter, add 1 bottle of white wine (white grape juice for non-alcoholic option), 1 lime and 1 lemon (sliced or wedged), 10 - 12 mint leaves, 2-3 tbsp simple syrup (1:1 ratio of water & sugar), and ice. Pour into your favourite glass and enjoy. For a sparkling wine chiller add 2 cups gingerale, or make using a sparkling wine or Prosecco. 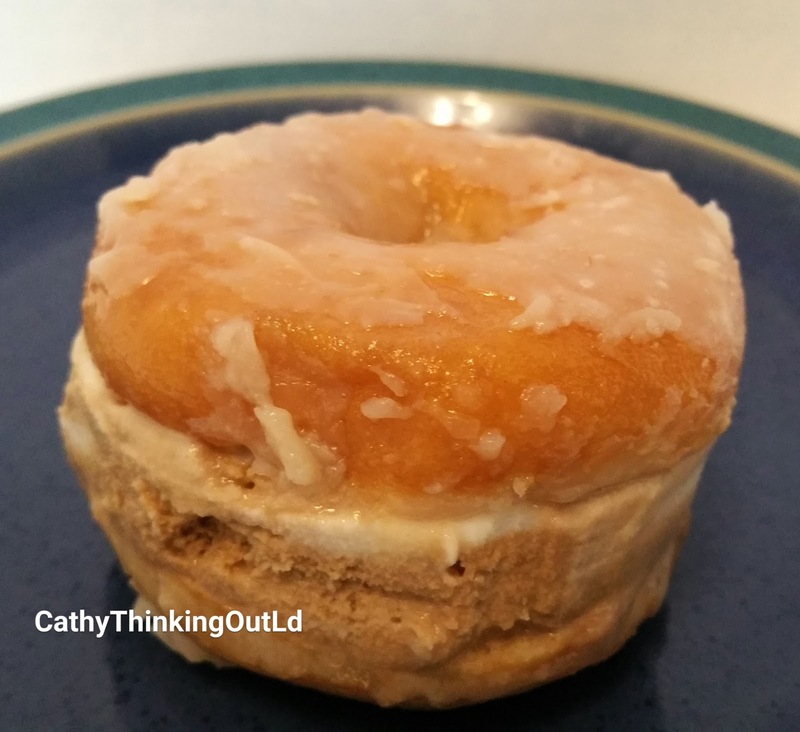 Food for thought and reading ... might I suggest a Who-Donut Ice-cream Sandwich. Don't be shy. Share. What's on your summer reading list? Yep, just me Cathy thinking out loud about Summer Thrillers and Summer Chillers. Cheers and here's to summer reading. Find more summer reads on the Penguin Random House Canada website, and stay in-the-know by following Penguin Books Canada and Random House Canada on facebook, @PenguinCanada and @RandomHouseCA on twitter and @PenguinCanada and @RandomHouseCA on instagram. 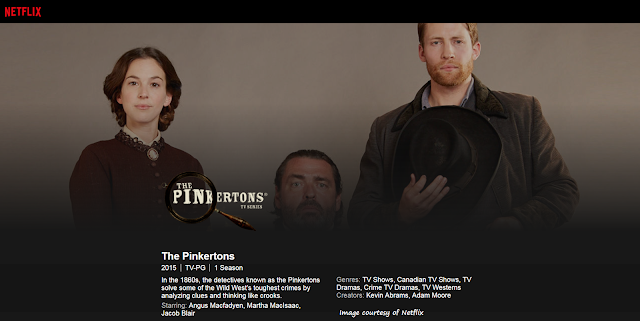 Looking to Netflix for examples of female trailblazers and women who break the mould. for my participation, post and sharing. All opinions are my own. When I think of the term "Role Model" I think of someone whose behaviour, actions, convictions, and qualities make them worthy of admiration, imitation, emulation, and inspiration. That doesn't mean they're perfect or even successful in their pursuits, but that their motivation for saying or doing something is good, positive, and consistent with their beliefs and convictions. Role models are those who simply by doing what they do inspire engagement, conviction, action and often change in others. I think our kids both need, and look for positive role models who exude qualities and core values that align with theirs. I also believe it's important for kids to have a sense of history and where they came from, in order to understand where they are, how they got there, and where and how they want their futures to unfold. Throughout history there are examples of women who break the mould, or at least add cracks to it, and over time change its shape. They're trailblazers that defy the restrictions and stereotypes of their time. I might not be able to get my kids to read a book about the history of feminism or about stereotypes, but I have a good chance of success at conveying information and starting a conversation by finding common ground through a show or series. Netflix can be an extremely helpful tool for segueing into important conversations, and an excellent way to draw attention to gender biases, stereotyping, and the depiction of women in the media and on screen. As parents I think it's important to give our kids guidance, context, and perspective on the constant barrage of media, images, and messaging they're exposed to on a daily basis. Given the speed of change for this generation, they may not realize many rights and freedoms they enjoy today were not available to their mothers or grandmothers. They might not understand the struggle and sacrifices made by women (and men) to secure these gains in women's rights and freedoms in regard to life choices in health, relationships, education, and careers. Without history and context our kids may fail to understand what is at stake, and why indifference to gender stereotyping, bias and inequality is not an option. One just has to look to the news, and the challenges we never imaged possible to rights and freedoms as proof that maintaining those gains is not a given. We need trailblazers more than ever to challenge the status quo, and stereotypes. More than ever our kids need role models. Each generation of women has had to work within the restrictions placed upon them by stereotyping and inequalities often entrenched in the legal system. Each generation has had trailblazers that challenged the status quo and the way thinking of their time. Seeing how far women have come is an important part of understanding where we are now and, how far we still need to go. Being aware of, and calling out negative and limiting depictions of women, and questioning stereotypes is an essential part of the process. Otherwise these stereotypes and double standards will continue be used as excuses and justification to limit women based on gender. Netflix has many examples of women rejecting the stereotypes of their time, finding ways to break the mould, and working around society's restrictions and barriers. These women forge ahead and find their own space and place in non-traditional ways, and act as an example to our kids that they don't have to accept the status quo, limiting gender roles, or others' definition of what being a woman means. Below are a list of period series with multiple examples of strong women who despite the restrictions placed on them by society find ways to define themselves and question society's stereotypes and prejudices. The women in these series all at some point struggle with questions about what is the just and right thing to do in the reality of the moment, and the potential consequences of their choices. Spoiler Alert: Although I've tried my best to have a meaningful discussion about the following series without giving away so many details that it spoils your viewing experience, you continue at your own risk. The Crawley sisters, daughters to the Earl and Countess of Grantham are examples of completely different women who in their own ways push the boundaries of their position, class, and gender, and defy the stereotypes and prejudice of the time. Lady Mary, is the eldest child of the Earl of Grantham, but her gender disqualifies her as legal heir to Downton Abbey. Nonetheless she finds ways to wield influence over it's management and future. She seems determined to pursue happiness that's not merely defined by a husband or being married. Lady Mary is by no means perfect or even nice, but she's an example of a strong woman refusing to sit back and accept the status quo. Lady Edith, is the quiet and often almost "forgotten" middle daughter. This may be why she's able to defy stereotypes and expectations of "proper" behaviour for a lady, by learning to drive, writing about Women's Sufferage, and running a magazine. Lady Sybil the youngest and most vocal and radical in her rejection of society's stereotypes and restrictions based on class, position and gender, constantly pushes the envelope of what is considered proper for an English lady of her time, much to the dismay of family elders. While her sisters are looking to make changes within their class, Sybil rejects the whole idea of class. This series is interesting in that some of the midwives/nurses are nuns, while others are not. Although the nuns are dressed in black and white it quickly becomes clear the issues this show tackles are definitely not. In contrast to the ordered rules and rituals of the nuns, are the nurses trying to figure out their role in a time of change. They see and respond to issues such as pregnancies out of wedlock, birth control and family planning, poverty, and illegal at the time abortion and homosexuality. Gender stereotyping and inequality is never more obvious then in relation to reproductive rights and sexuality. Each of these women are forced at some point to deal with their feeling about these issues, while still trying to do their job, and what is right for the health of baby and parents. Not always an easy task given the restrictive laws, norms and prejudices of the time. The midwives regularly face situations which force them to examine the validity of both their and society's prejudices, concepts of right and wrong, and stereotypes. Sometimes the right thing to do isn't necessarily the legal one. This series revolves around the lives of 4 women; Susan, Millie, Lucy and Jean who all worked as code breakers at Bletchley Park during WWII. As code breakers their work was not only classified but highly unusual positions for women to hold. The series is set post-war, with the main characters settled into traditional gender roles as wives and, or mothers. The group is brought back together when several women are murdered in London. After being largely ignored by male police detectives, they put the skills that got them hired as code breakers to work in an effort to link and solve the cases themselves. In this series both Doctor Julia Ogden and Doctor Emily Grace are pathologists, a position traditionally held by men. As pathologists, they try to reveal the details of a crime from the deceased often using unconventional approaches. They often face resistance to their use of new or less conventional techniques to reveal clues, as well as gender stereotypes that call their credibility into question. At the age of 25, Queen Elizabeth takes the throne as head of the British Monarch. Not only is she young, but neither her sheltered life nor her education has prepared her for the very public and male dominated political arena. Balancing the challenges of her public and private roles as monarch, wife and mother are made even more difficult by the gender biases, and stereotypes of the time. Set in the 1860's, this series tells the stories of a father and son detective duo that team up with the first female detective in the "Wild West" (Kate Warne) to help solve crimes. She proves to be a smart, resourceful, brave and a successful detective despite, or maybe because of her gender. She also inspires other females to join the Pinkerton Detective Agency. Elizabeth Thatcher is a young teacher from a privileged background, that embraces the challenges of teaching and living in a small coal mining town despite her parents objection, and the town's skepticism. Her parents think a teaching position in a coal town in beneath her station, while most of the town thinks she is too pampered and soft to survive the hurtles of teaching in the town's saloon with limited resources. Both sides think she is not suitable for the position because she is too much a lady. Both sides make assumptions based on class and gender stereotypes. But, Elizabeth not only survives, she thrives, and brings the town's people around to her modern approach to teaching. Why not spend some quality time with your tweens and teens watching one (or more) of these series, and then start a conversation. Yep, just me Cathy thinking out loud about trailblazers and mould breakers. Disclosure: As a member of the Netflix Streamteam I receive special perks for my participation, posts, and sharing. All opinions are my own. Images courtesy of Netflix. Snetflixing is not something to be ashamed of. for my participation, posts and sharing. All opinions are my own. Time to get real and have a candid conversation about what I refer to as Snetflixing*. Stop hiding behind laundry piles, hold your head high, and proudly acknowledge that you are a Snetflixer. Accept the fact that there are only so many hours in the day, and in order to watch do all the shows things on your list sometimes you need to get creative and multitask. 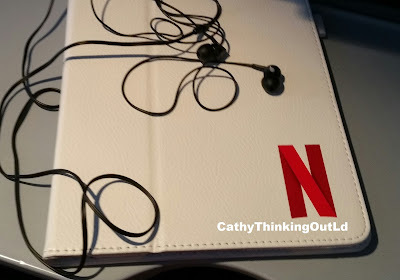 So today by way of a poem, I proudly and publicly declare: I AM A SNETFLIXER! Spill the beans ... What do you watch when you snetflix? 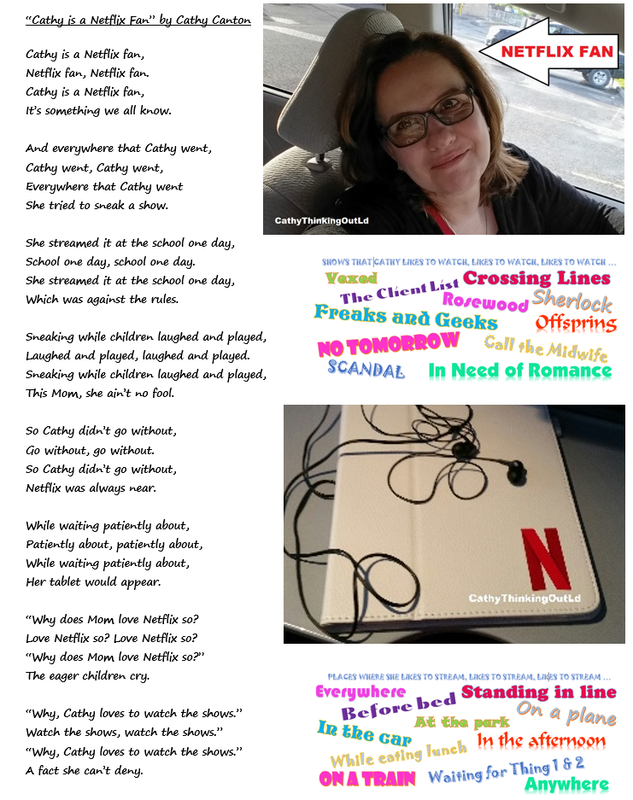 Yep, just me Cathy thinking out loud about Snetflixing and #MomSNEAKS. I'm back with yet another list of commonly confused, misused, or misspelled words. This time I focused on words beginning with the letter "O". Object vs. Subject (use, meaning): The object of a sentence is the noun or pronoun that receives the action that is named by the main verb in the sentence. Object pronouns include me, you, them, or us. The noun that is doing the action in a sentence is the subject. Subject nouns include I, you, we, or they. For instance, "I" is the subject of the sentence: I ate lunch. Here "I" does the eating. "Me: is the object of the sentence: She thanked me. Here "me" is the thing that is thanked. Obscure (spelling, meaning): As an adverb means unclear, imperfectly understood or expressed. As a verb it means to conceal or hide something. o'clock (spelling): Is an adverb used to describe or indicate the position of the shorter hand on a watch or clock. Six o'clock means the shorter hand is pointed at six. Onomatopoeia (spelling, meaning): The use of words that imitate or sound like what they are, mean, or are describing. For example rustle, bang, buzz, or hiss. Opaque (spelling, meaning): Means not transmitting or reflecting light or radiant energy. Organize vs. Organise (use, spelling): Both spellings are correct but "organize" is typically the North American spelling, whereas "organise" is more popular in Britain and outside or North America. Oscillate (spelling, meaning): Means to move or swing from side to side regularly. Ossify (meaning): Means to make rigid or settle into a conventional pattern. Ought vs. Aught (use, meaning): Ought is a special kind of auxiliary verb, meaning that it is added to the main verb. This special kind of auxiliary verb is called a modal verb. Modal verbs (may, must, can, ought, shall) express states of possibility, permission, obligation, or advisability. They do not change their form. They are always added to an infinitive verb. Take the sentence: You ought to eat your vegetables. The main verb is the infinitive "to eat", to which the modal verb "ought" is added to convey a sense that eating is an advisable course of action. Aught used as a noun means nothing or zero. Used as a pronoun it can also mean anything or all. Outrageous vs. Outragous (spelling): Outrageous is always spelled with an "e". It is the adjectival cognate of the verb "to outrage", meaning to provoke anger or indignation, and is used to qualify persons (or their behaviour) as scandalous or contrary to conventional norms of social conduct. Overdo vs. Overdue (use, meaning): Overdo is the verb meaning to do something to excess, such as exercise or eat. Overdue is an adjective meaning unpaid, late, or delinquent, such as a bill or a library book. Yep, just me Cathy thinking out loud about the Letter "O". Special thanks to my brother/in-house language expert for his insights and help with my Grow Your Vocab posts. If you find parts in the posts that include lots of grammar and academic-like words, yet still manage to be clear and easy to understand they're probably written by, or at the very least improved by his editing skills. He takes my incomprehensible and transforms it into something useful. 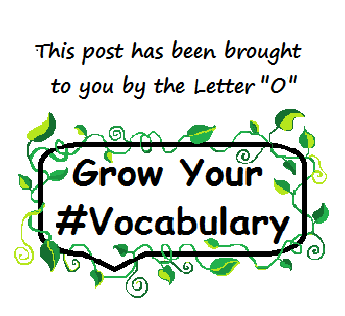 Disclosure: I receive no compensation for my Grow Your Vocab posts. The purpose of these posts is merely to share information I think might be of interest to my readers. then Netflix is like an Apple a Day for my kids' mental health. Disclosure: As a member of the Netflix Streamteam I receive special perks for my participation, posts and sharing. When my kids were young my husband and I made a conscious decision to limit the number of activities we enrolled them in at any given time. We wanted a balance between interesting learning opportunities, physical fitness, school and family time. To allow our kids to prioritize school, have sufficient personal downtime, ensure we could regularly shared meals together as a family, and for both my own and my kids' mental health and well-being, activities during the school year were limited to 2 activities per week (one learning, one sports). This was relatively easy to do when they were younger, with both often were enrolled in the same activities. Flash forward 10 years and my kids are young adults. Their schedules are full, putting the demands on their time into overload. 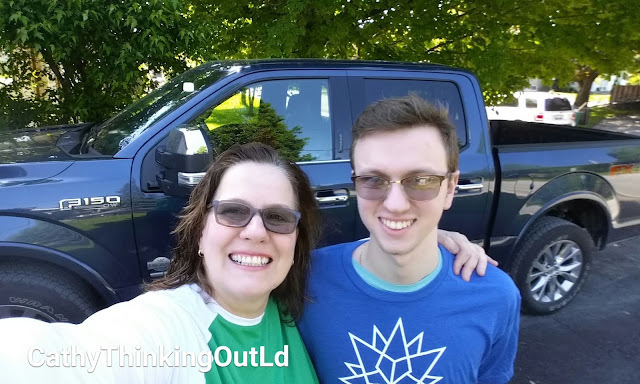 Both are in post-secondary programs, and Thing 2 now lives in his own apartment. The challenge of juggling university and college studies, work, friends, and their various other responsibilities has dramatically increased, making personal downtime even more important for managing stress and mental health. But, it can be tough to do when their schedules barely allow for meals, far less family meals, and their downtime comes is short and irregular pockets of time. So assuming the old adage "Laughter is the best medicine" is true, then downtime spent watching an episode of one's favourite comedy would be the equivalent to an apple a day for mental health. Given that my kids can stream or even download episodes of their favourite comedies on Netflix to fit their schedules, I believe it's just what the doctor ordered. 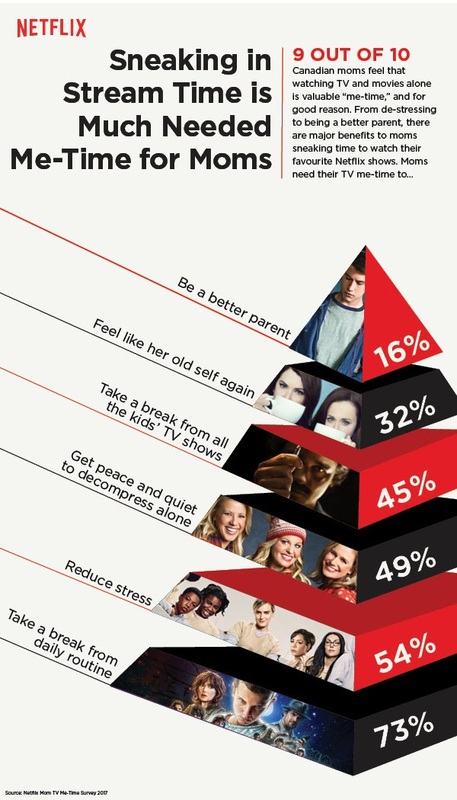 Like the recommended hour of physical activity per day, an episode or two of a favourite show per day is good for one's overall well-being. 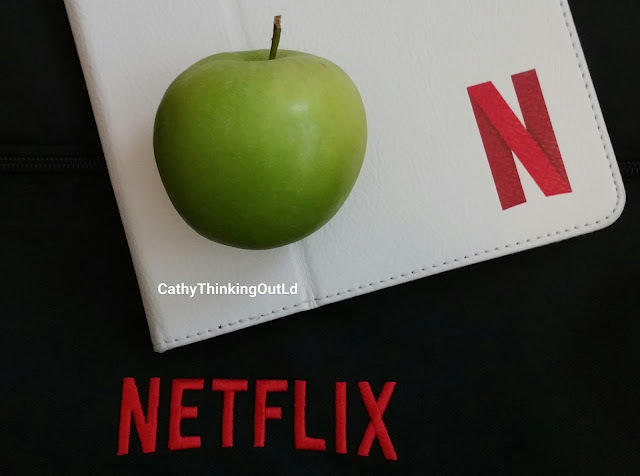 What's nice about Netflix is that like apples there are so many different types and varieties to choose from, and my kids can watch anytime, anywhere, and on a variety of devices. Please Note: My kids are adults and no longer fall under parental controls when it comes to their viewing choices. Their choices may not be to your (or my) taste or appropriate for you or your family. Most of these shows are intended for mature and adult audiences, so please refer to individual show ratings and synopsis to determine if they are appropriate for you. So what does Thing 2 like to stream at 2 am for a break from studying for his Physics, Calculus, or Core Engineering exams? And what does Thing 1 stream when he needs a break from memorizing lines, writing scripts, or editing video for school? And what do these brothers stream during their "beer and bonding" time when Thing 1 stays over at Thing 2's apartment on a Friday night? Do tell ... What's your favourite Netflix laughter apple variety? Yep, just me Cathy thinking out loud about laughter, mental health, and Netflix. 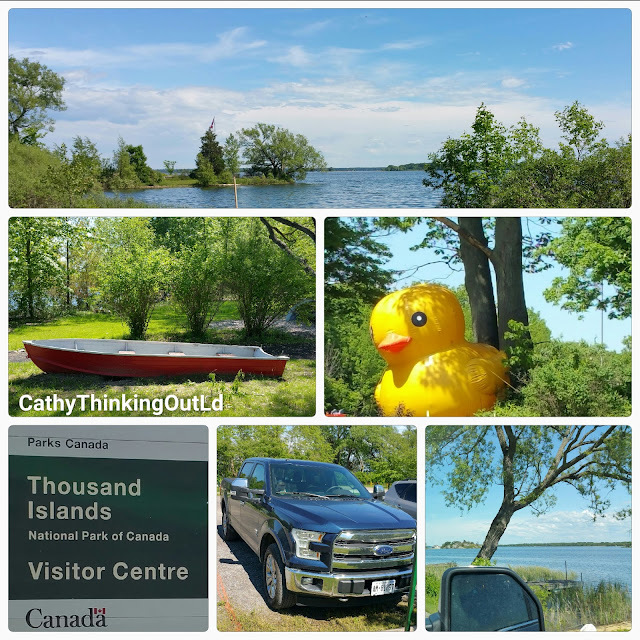 Ford Canada to cover my #GoFurther150 Adventure expenses. All opinions are my own. Note: Some available options mentioned are not standard and may have additional costs associated with them. 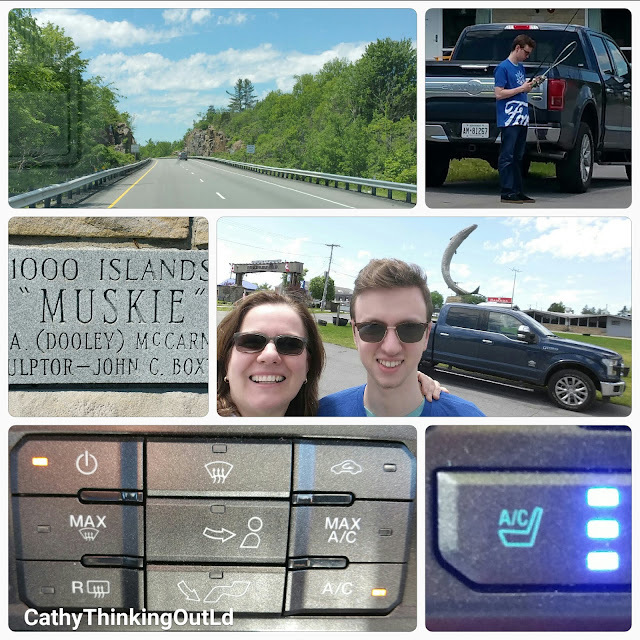 This is a tail tale of a Mother and her son's (aka Thing 1) quest to locate the giant leaping Muskie in Gananoque, Ontario. Initially I tried to "lure" both my "Things" into joining me, but due to school obligations our "reel" fishing expert wasn't able to join us, thereby eliminating the "I call shot gun" battle and allowing for a long overdue one-on-one adventure with my eldest. 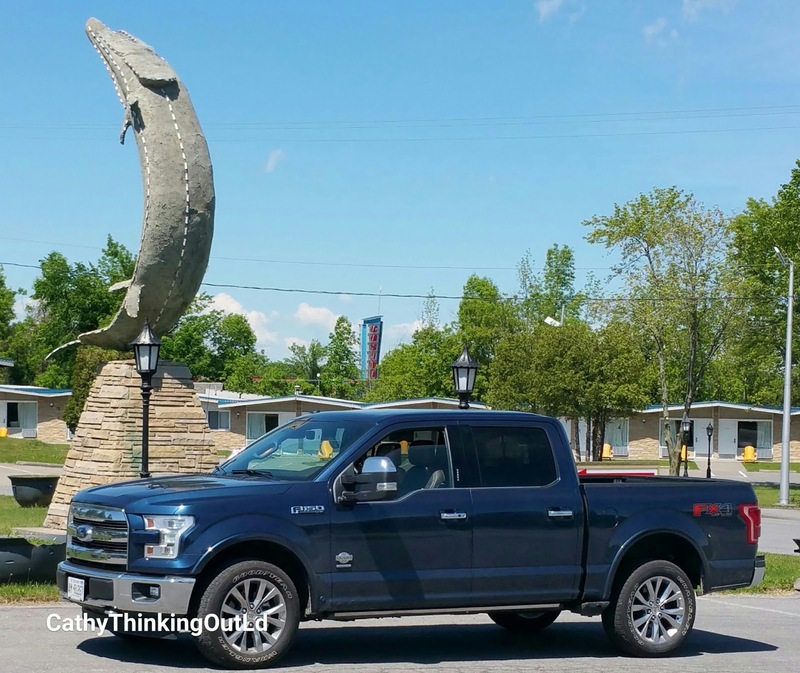 For the first time in a long while we had the opportunity to "reel-ax" and spend the day together travelling in what can only be described as the most luxurious of Fish Finders ... the Ford 150 King Ranch. 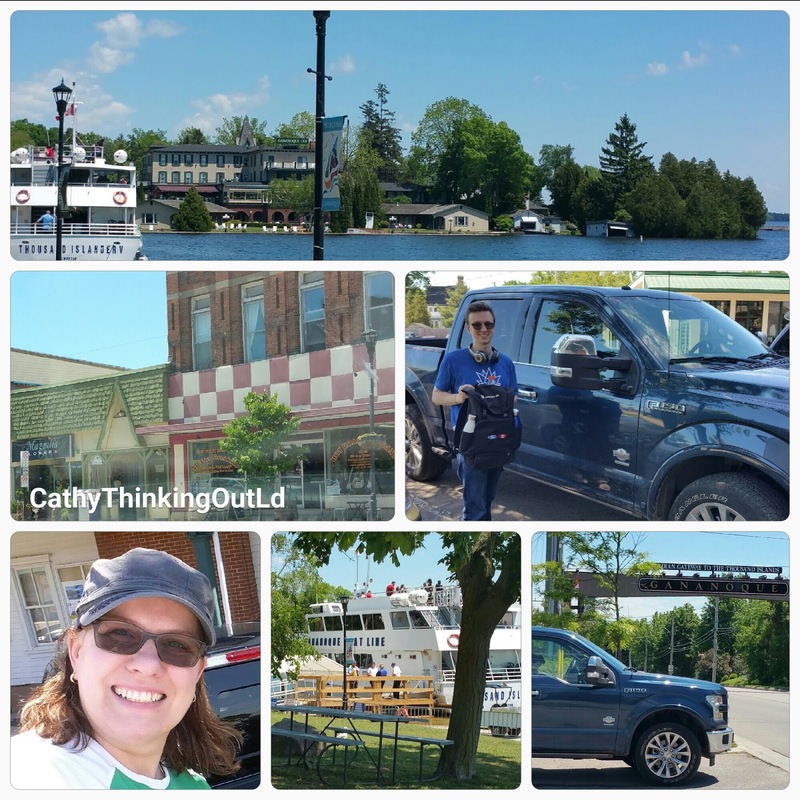 The F150 seemed like the perfect fit to mark Canada's 150th with a #GoFurther150 adventure to Gananoque, where as it turns out Hubby and I celebrated our 1st wedding anniversary 24 years ago. I probably shouldn't fish and tell ... Ha! Who am I kidding I'm totally going to fish and tell about my #GoFurther150 Adventure. 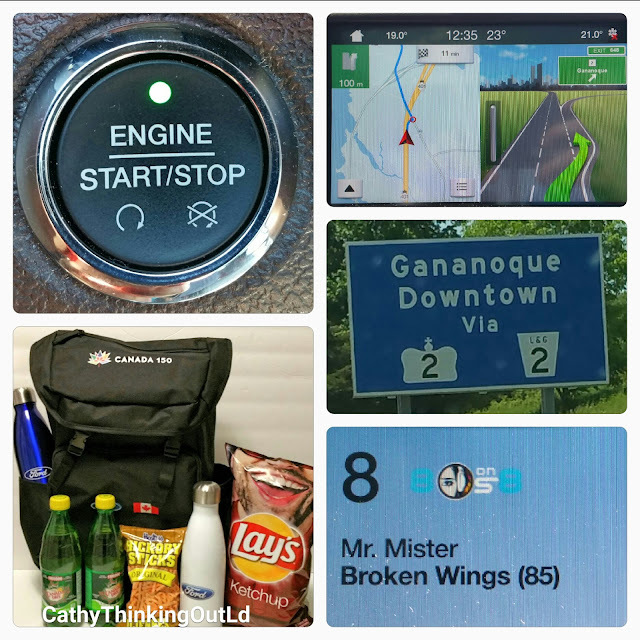 I made sure to have all the essentials; snacks, beverages, a picnic lunch, Thing 1, and a sunny (HOT!) day. 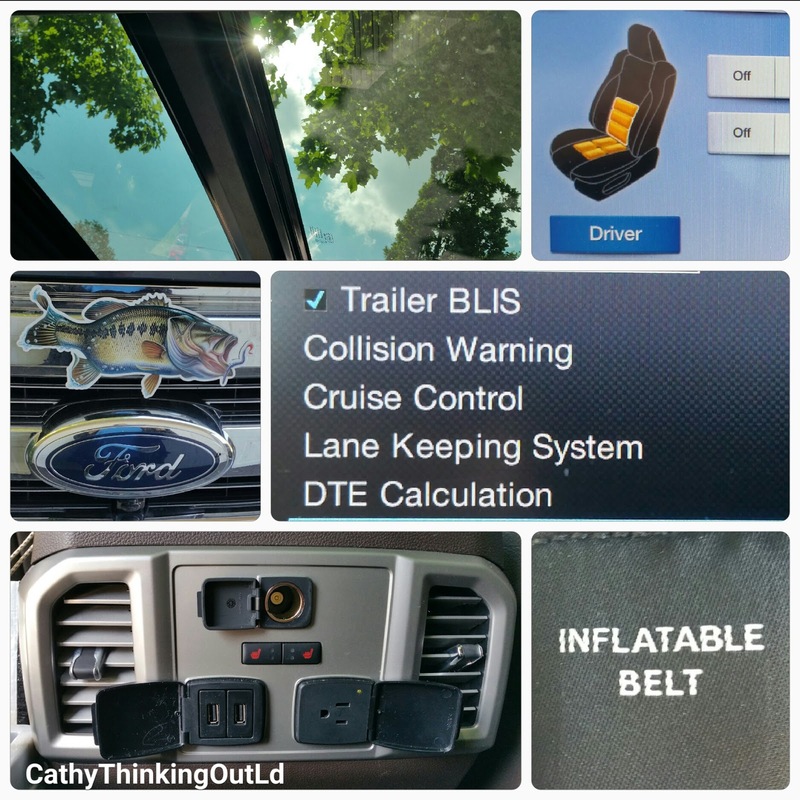 Don't be "spooled" into thinking because the 2017 Ford F150 King Ranch is a pickup truck, it doesn't have all the features, options and luxury you'll need to "tackle" all of life's adventures. We set the Sirius XM Radio to "stream" 80's tunes on the Sony sound system, we paired our phones almost instantly (SYNC Connect), and set our destination on the voice activated Nav System (SYNC3). I said "driver start your engine" and with the push of a button we were off. For the next the next two hours I lectured Thing 1 about life, we argue over what music to listen to, shared fish puns, and enjoy each other's company. While I drove, Thing 1 took command of the Duel-Zone Temperature Controls (DEATC) and the seat cooler settings. Yes! I said seat coolers. You know that wonderful feeling of having heated seats in the freezing Canadian winters, well it's like that, only cooled seats in the hot Canadian summers. Before we knew it we were in "the strike zone", and we had found our fish! This giant leaping Muskie statue pays tribute to the record breaking 69 lb Muskie H.A. "Dooley" McCarney caught in the waters near Gananoque. What? If you think you cod do better? ... Let minnow. 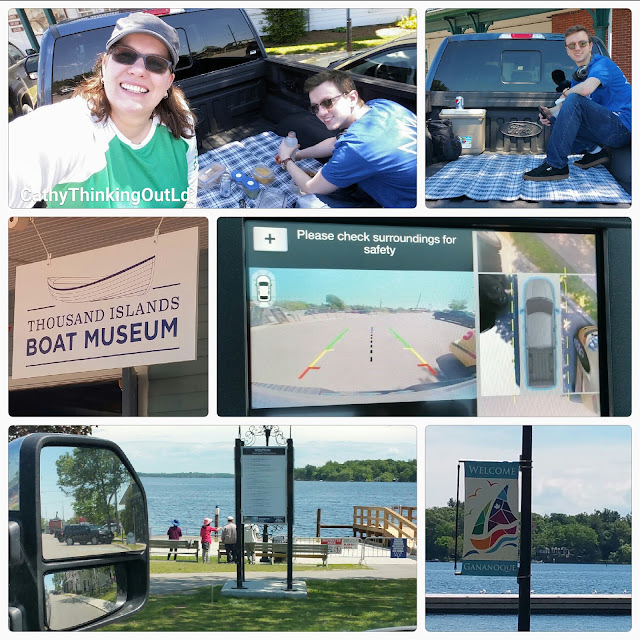 After finding our Muskie, a walk-about along the shore, and a picnic lunch, we decided to drive around town for a bit. First I showed Thing 1 where his dad and I stayed 24 years earlier, then we drove around making random turns onto any street that looked interesting. We realized Gananoque has some of the quaintest homes, and spent an hour driving up and down streets looking at houses. For those looking for more adventure than our lazy day road trip, I think you'll find Gananoque and the 1000 Islands area offers "some-fin" fun for everyone. We finished our visit with a quick stop to take pictures of the Gananoque sign before heading home via the scenic route. We took the scenic route home. I can't say enough about the Driver Assist features such as Adaptive Cruise Control, BLIS (Blind Spot Information System), Lane Keeping System, and Cross Traffic Alert. Not to mention the voice activated Nav System, and converting incoming text messages to audio messages that SYNC 3 and SYNC Connect make possible. They are more than just convenient, they make driving safer for you, your passengers, and others on the road. Another of my favourite features is the KM to empty display on the productivity screen, especially when travelling off the beaten path. There are a few innovative or just plain fabulous features that deserve honourable mentions. Seat and Back Massage ... need I say more? I think not. Inflatable Seat Belts: an innovative safety feature in the rear seats to help reduce injury by spreading the force over a larger area, thereby reducing the pressure on the chest, and helping to control head and neck motion in the event of collision. Multiple USB charging ports AND 110-volt/400-watt conventional AC plug-in outlet: convenience gone wild! Motorized seats: these are a must when you have multiple drivers using a single vehicle, and would be a deal breaker or maker for me when buying a vehicle. Eco-Boost with Auto Stop-Star Technology reduces your fuel consumption and reduces your carbon footprint. I think we can all agree that is a WIN-WIN. SYNC Connect - reads out my text messages! Yes I think this is worthy of a second mention. It takes away the temptation to text and drive, by relaying text messages without the need to take your eyes off the road. Cool Giant Fish Magnet: because I can. 1) Which of the following are actual fishing terms? 2) Muskie (Muskellunge) is the largest member of the ____ family? a) refers to the act of casting the lead for a Broadway show. b) is someone who has achieved pro castinator status by way of multiple casts due to broken bones. c) the act of delaying or postponing that which you should be doing, in order to do that which you want to do ... Go Fishing. 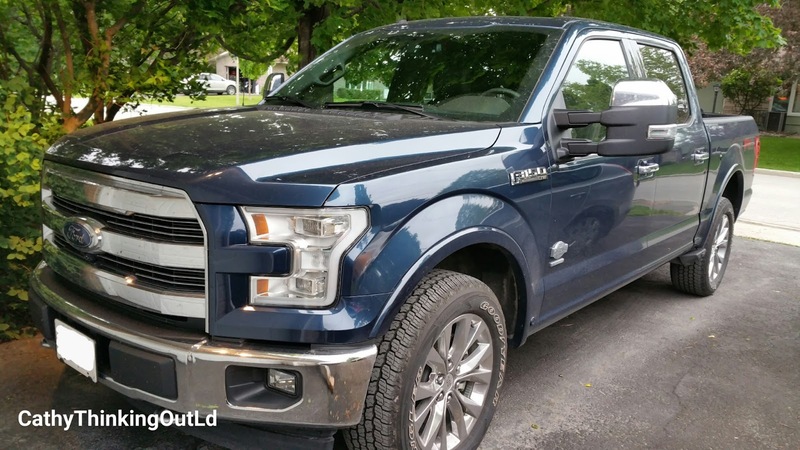 You can find more information on the F150 King Ranch on Ford Canada's website, and to stay in-the-know follow them on twitter, facebook and instagram. Mine was but one of many #GoFurther150 Adventures. 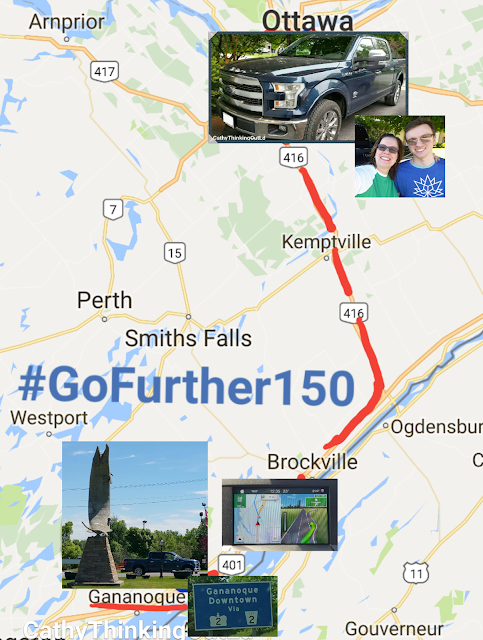 To see more follow the #GoFurther150 hashtag on social media. Yep, just me Cathy thinking out loud about my "reel-ly" great Leaping Muskie Adventure.